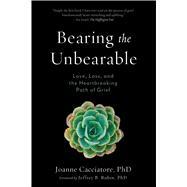 by Cacciatore, Joanne, Ph.D.; Rubin, Jeffrey B., Ph.D.
Dr. Joanne Cacciatore has a fourfold relationship with bereavement. She is herself a bereaved mother: her newborn daughter died on July 27, 1994, and that single tragic moment catapulted her unwillingly onto the reluctant path of traumatic grief. For more than two decades, she’s devoted herself to direct practice with grief, helping traumatically bereaved people on six continents. She’s also been researching and writing about grief for more than a decade in her role as associate professor at Arizona State University and director of the Graduate Certificate in Trauma and Bereavement program there. And, in addition, she’s the founder of an international nongovernmental organization, the MISS Foundation dedicated to providing multiple forms of support to families experiencing the death of a child at any age and from any cause, and since 1996 has directed the foundation’s family services and clinical education programs. Cacciatore is an ordained Zen priest, affiliated with Zen Garland and its child bereavement center outside of New York City. She is in the process of building the a “care-farm” and respite center for the traumatically bereaved, just outside Sedona, Arizona. The care-farm will offer a therapeutic community that focuses on reconnecting with self, others, and nature in the aftermath of loss through gardening, meditation, yoga, group work, animals, and other nonmedicalized approaches. All the animals at the care-farm will have been rescued from abuse and neglect. She is an acclaimed public speaker and provides expert consulting and witness services in the area of traumatic loss. Her research has been published in peer-reviewed journals such as The Lancet, Social Work and Healthcare, and Death Studies, among others. She received her PhD from the University of Nebraska-Lincoln and her master’s and bachelor’s degrees in psychology from Arizona State University. Her work has been featured in major media sources such as People and Newsweek magazines, the New York Times, the Boston Globe, CNN, National Public Radio, and the Los Angeles Times. She has been the recipient of many regional and national awards for her empathic work and service to people suffering traumatic grief. She travels quite often but spends most of her time in Sedona, Arizona, with her family and three rescue dogs. She also has three horses that are part of her Rescue Horses Rescue People equine therapy program.